Bad joke as old as the hills, right? As it turns out, it’s not terribly accurate, either. At the cosmetic, general, and restorative dentistry practice of Steven Hochfelder, DMD, there are few treatments that can surpass root canal therapy in terms of how many benefits it has to offer and how painless and comfortable it truly is. Yet, root canal therapy remains misunderstood by most people, many of whom believe that it is a procedure to be feared, rather than one to be embraced as the quickest possible way to end their tooth pain and restore their oral health. If you are currently experiencing tooth pain, we invite you to join the patients who have discovered for themselves the many possible root canal therapy benefits available at our Lake Mary dental practice. Root canal therapy is a procedure that treats an infected or otherwise damaged root canal. A root canal is a chamber located inside of a tooth. Each tooth contains between one and four of these canals. 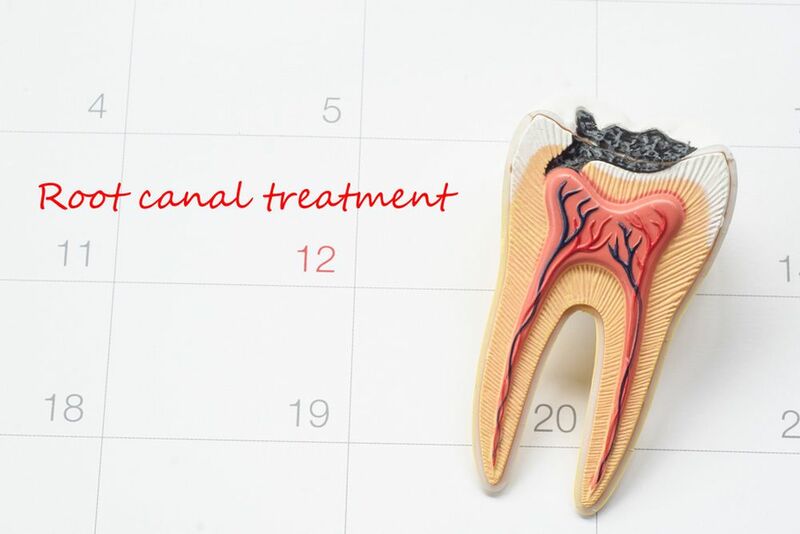 Within each canal is a substance called dental pulp, which comprises nerves, blood vessels, and connective tissues. Dental pulp is essential to the health of the tooth. It is important that the root canal be kept protected from outside elements, as the dental pulp can easily become infected if exposed to bacteria. If a tooth develops a cavity, and the decay spreads to the root canal, the pulp is likely to become diseased. This is likewise probable if the tooth is affected by trauma. When dental pulp becomes infected, the result is often excruciating pain. If the pulp is not removed, the tooth will eventually die and fall out. The only way to salvage the tooth is to remove the infected pulp and disinfect the root canal. This is accomplished by creating a hole in the crown of the tooth, through which the pulp is removed. After the root canal is thoroughly cleansed and disinfected, the pulp is replaced by a filler substance, and the remaining tooth structure is covered with a dental crown. Stops tooth pain: After infected dental pulp is removed, there will be a dramatic reduction in tooth pain. Pain usually subsides altogether within a few days of root canal therapy. Allows patients to preserve their natural teeth: The procedure allows for the preservation of the natural tooth, which is always preferable to extraction or loss. Is painless: While the procedure has never been as bad as its reputation suggested, modern root canal therapy is an entirely pain-free procedure. Results in a smile that is as beautiful as it is healthy: Modern dental crowns are custom-crafted to blend seamlessly into the smile. Patients emerge from root canal therapy with mouths that are fully restored in terms of form, function, and oral health. To learn more about the many benefits of root canal therapy, please contact the dental practice of Dr. Steven Hochfelder today.